Brick pizza ovens have a hearth and dome that are made from refractory bricks (high heat bricks). The design is a direct replica of ancient bakery ovens. Traditional brick pizza ovens are fueled by wood, but gas and coal can also be used. 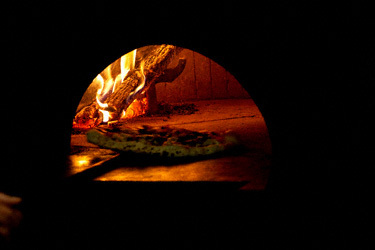 Pizza purists believe that a wood-fired brick oven is the only way to make a pizza. Best for: Brick pizza ovens are ideal for any pizzeria that wants to create authentic pizzas using traditional baking methods. Cooking temperatures. On the stone hearth, where the pizzas will be placed, proper temperatures will be between 700 and 1,000°F. Power type. Brick pizza ovens can use wood, coal or gas to heat up the interior. Some wood-fired units are available with a gas backup. Cooking time. When the temperature is in the correct range, it can take between 90 seconds and 5 minutes to cook a pizza, depending on the pizza's thickness and how many are being cooked at once. Pizza deck ovens feature stone shelves, or decks on which the pizzas are directly placed to bake. They are the next best thing to a wood-fired oven. Best for: Pizza deck ovens are ideal for pizzerias that want to create a more authentic-tasting pizza without having to invest the time or money in purchasing and maintaining a brick oven. Cooking temperature. The stone decks should be between 400 and 700°F to properly cook the pizzas. Power type. This type of commercial pizza oven can use either gas or electricity to heat the stones. Cooking time. At 500°F, a single pizza will cook in six to eight minutes, depending on the crust thickness and toppings. With rising utility costs, all restaurants are looking for ways to save money. A pizza convection oven decreases both cooking time and energy use while producing pizzas that are comparable to traditional methods. Best for: Pizza convection ovens are ideal for establishments with limited space and who want to reduce energy costs while still producing high-quality pizza. Cooking temperature. These pizza ovens cook at 460°F, which is a lower temperature than other pizza oven types. The convection head means a lower temperature is needed and helps save energy costs. Power type. Both gas and electric models are available. Cooking time. 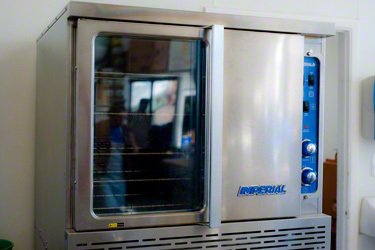 At 460°F, pizza convection ovens can cook a single pizza or its full capacity of pizzas in five or six minutes. 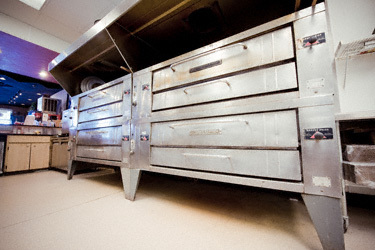 Conveyor ovens are one of the slower methods for making a pizza. The pizza is pulled through the cooking chamber on a chain conveyor belt. Though this cooking method is slower, you can also cook more than pizza in a conveyor oven. Cooking temperature. The ideal cooking temperature for a pizza in a conveyor oven is between 400 and 600°F. Power type. 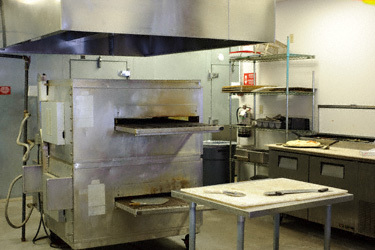 These commercial pizza ovens function off of gas or electricity. On gas models you will still need a power outlet to operate the conveyor and controls. Cooking time. A conveyor oven set between 500 and 520°F will cook a pizza in four to five minutes.